Audiophiles and music lovers on a limited budget will love the quality performance and top JVC features of the L-A120 - we feel it's one of the best audio values around. It has our lightweight straight tonearm for superb tracking and lower distortion, a sophisticated belt drive system utilizing a precision DC servo motor, and our Independent Suspension system. The belt-drive system of the L-A120 isolates the turntable platter from vibration and provides smooth, even rotation so your records sound clear and clean, without a hint of audible wow, flutter or rumble. The motor we've teamed with this drive system is our own DC servo design, renowned for its powerful torque, low vibration and smooth operation. No wonder the L-A120's specs read like those of an expensive direct-drive turntable. The lightweight tonearm of the L-A120 has a resonance frequency above warp and eccentricity frequencies, therefore resonance is not reinforced, and mistracking and muddy sound are avoided. As a result, bass frequencies in particular are reproduced with clarity and power. The tonearm is also straight to increase strength and reduce torsion. The result is surer tracking. Since the tonearm's fulcrum is almost at the same level as the stylus tip, effective wow and flutter is reduced while tracking is improved. We've conquered acoustic feedback in the L-A120 by mounting the tonearm and motor on a separate subchassis. 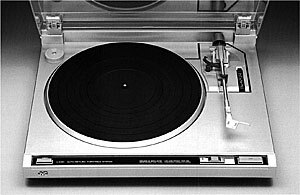 Even physical shaking or vibrations from a nearby speaker system do not affect the platter and tonearm; they remain essentially vibration-free. This means lower intermodulation distortion, which in turn means clearer sound quality. 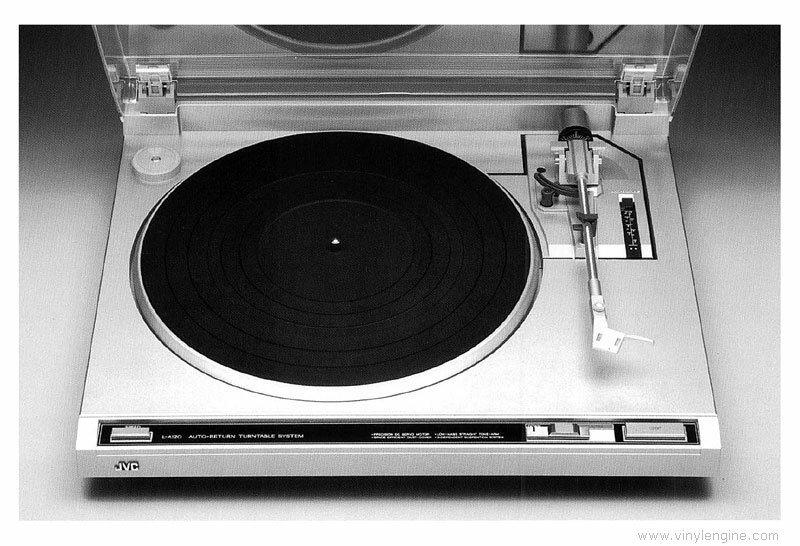 JVC L-A120 / LA120 owners manual, service manuals and schematics are for reference only and the Vinyl Engine bears no responsibility for errors or other inaccuracies. The PDF files are provided under strict licence. Reproduction without prior permission or for financial gain is strictly prohibited. This website is not affiliated with or sponsored by JVC.